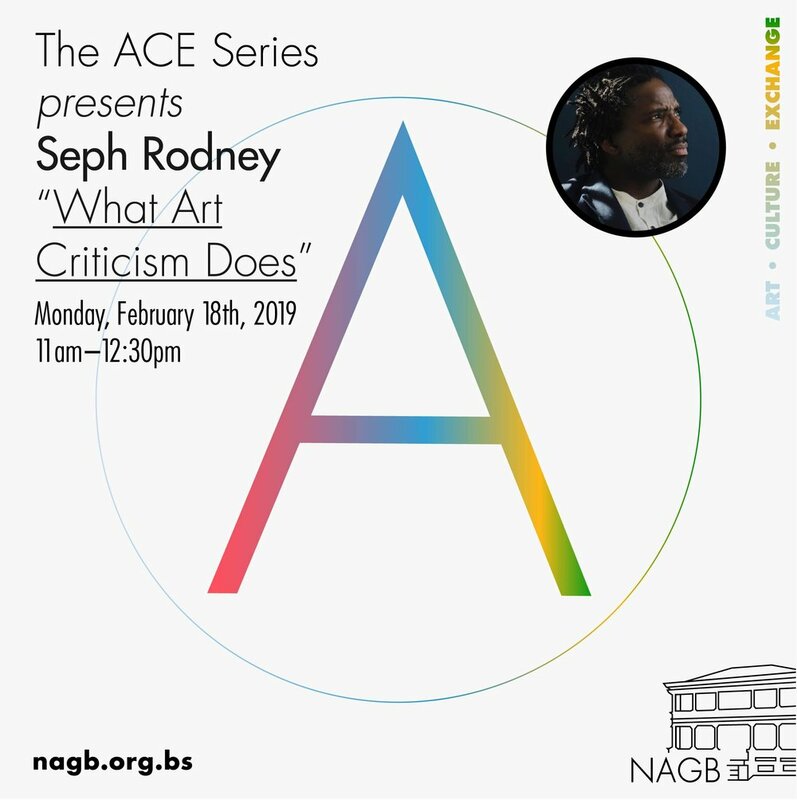 The ACE Series presents Seph Rodney "What Art Criticism Does"
The NAGB presents the first installment in our new Art, Culture and Exchange (ACE) Series, devoted to growing a healthy space for reciprocation, discourse and debate. This invitational brings established international artists, critics, and an extensive network of art professionals to present on their works in public lectures, informal talks and symposia. They will offer diverse perspectives and exciting interpretations of art, social/global issues, and innovations in culture. The ACE Series continues the museum’s mission to empower its creative community with opportunities to engage in transformative encounters, which hold the potential to change the lives of young people and our public through robust art education programmes. Seph Rodney, PhD was born in Jamaica and came of age in the Bronx, New York. He has an English degree from Long Island University, Brooklyn; a studio art MFA from the University of California, Irvine; and a PhD from Birkbeck College, the University of London in museum studies. Also, while in London, he created, produced, and hosted a radio show called The Thread, broadcast on Resonance FM from 2008-2011. He is a staff writer and editor for Hyperallergic, writing on contemporary art and related issues. He has also written for CNN Op-ed pages, American Craft and NBC Universal, and penned catalogue essays for Joyce J. Scott, Teresita Fernandez, and other artists. He can be heard on the podcast The American Age. His book, The Personalization of the Museum Visit, will be published by Routledge press in June. He is a featured speaker in the Favorite Poem Project.